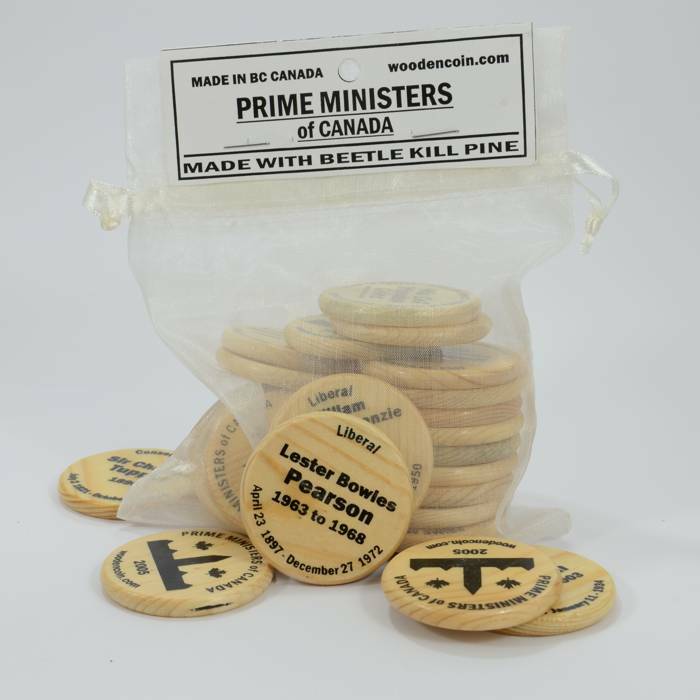 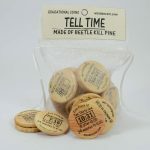 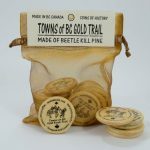 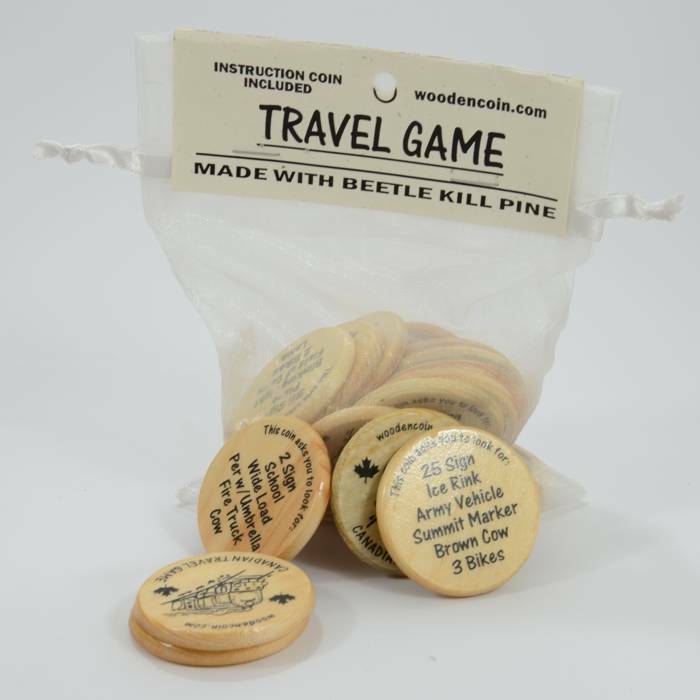 Travel Game: Wooden Coin sets are made in several combinations for educational purposes. 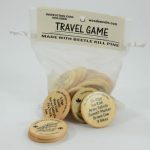 This is a 20 coin game children can play while traveling. 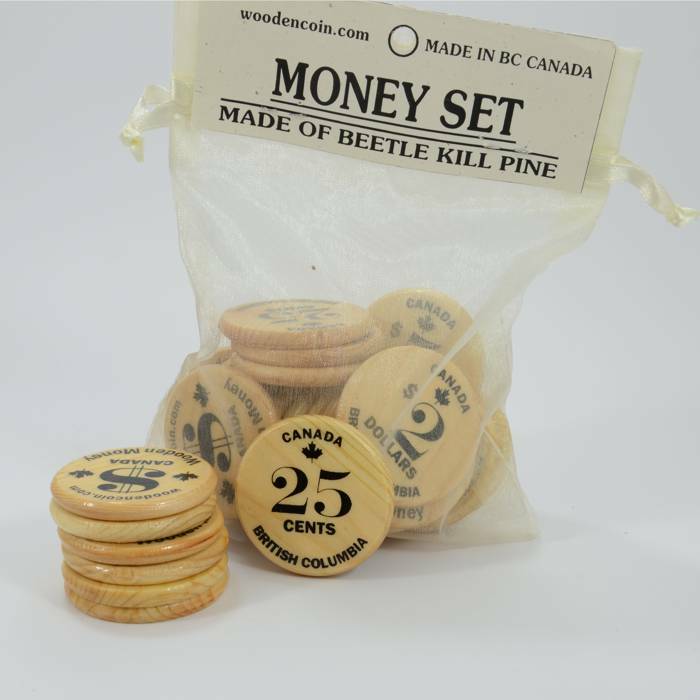 Upon departure each child starts the game with one coin listing six different items to look for. 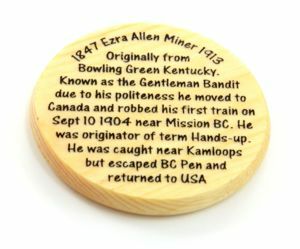 If any of the items are spotted the the coin is kept and a different coin is drawn. 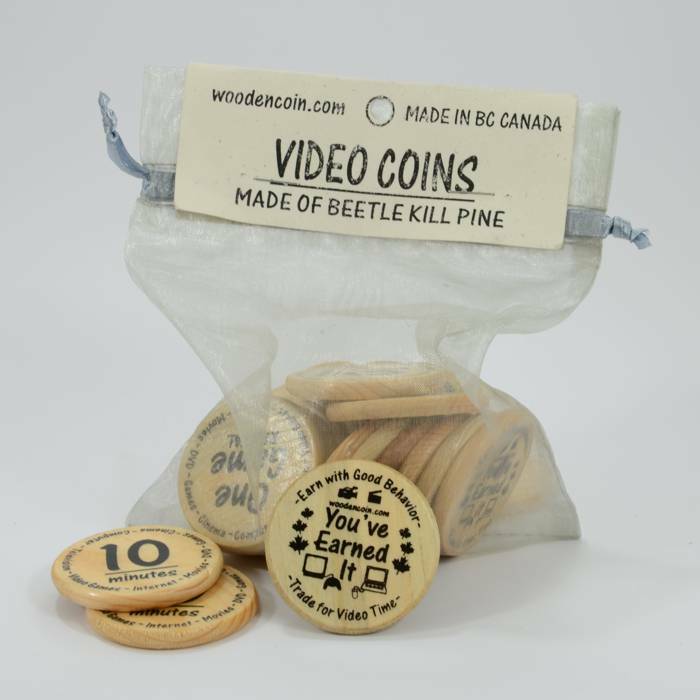 Upon arrival, the child with the most coins wins. 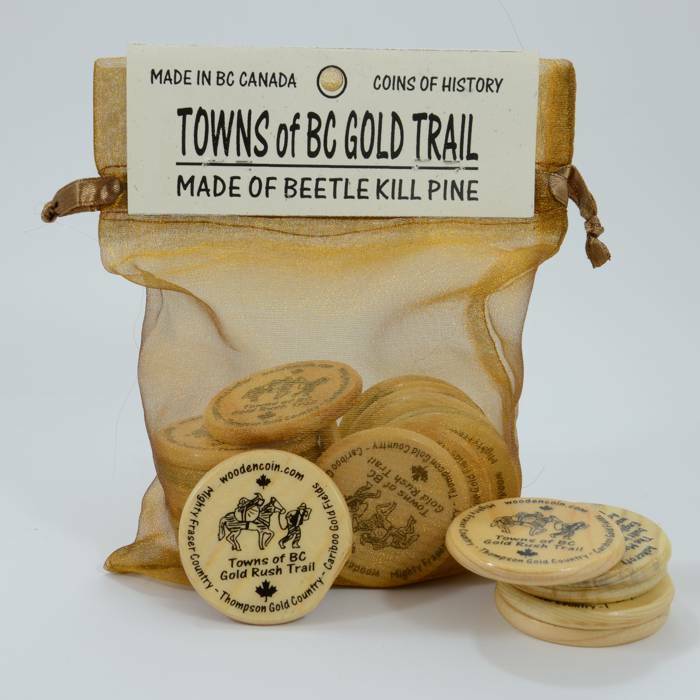 An instruction coin is included with the game. Money Set: 22 coins to assist children with change and math. 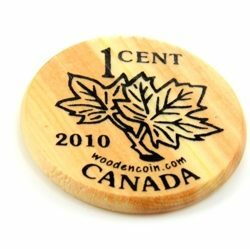 5 1-cent, 1 5-cent, 2 10-cent, 4 25-cent, 2 50-cent, 1 1-dollar, 2 2-dollar, 1 5-dollar, 2 10-dollar, 1 20-dollar and 1 50-dollar. 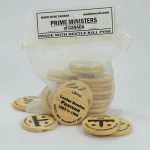 PMs of Canada: Prime Ministers of Canada listed with both party affiliation and significant dates. 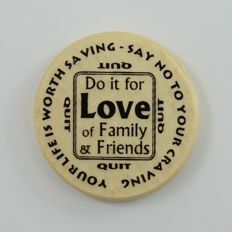 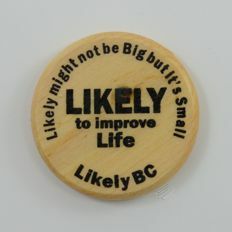 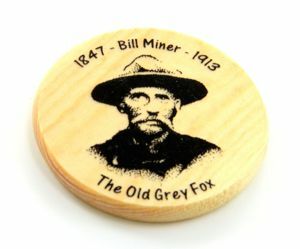 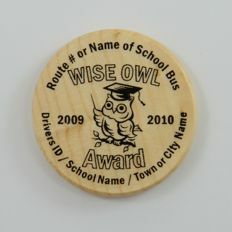 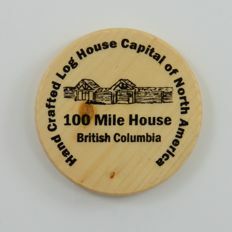 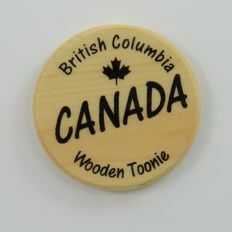 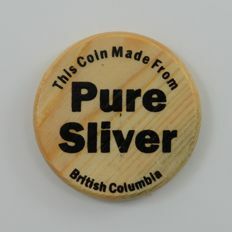 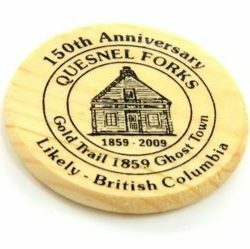 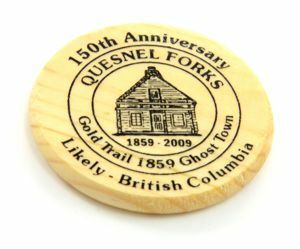 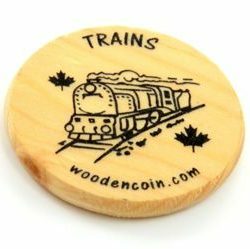 Wooden Coins are avidly purchased, traded, collected by far too many organizations to list on this page. 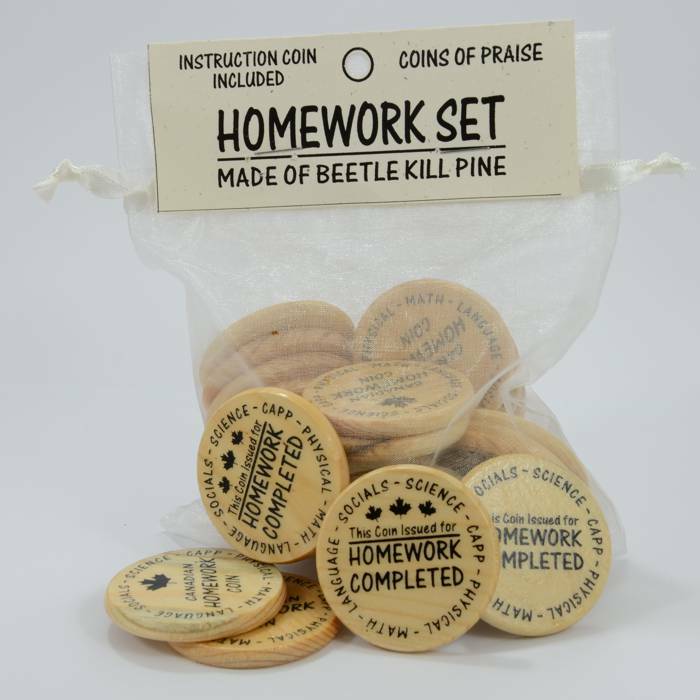 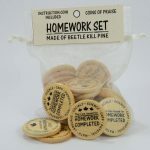 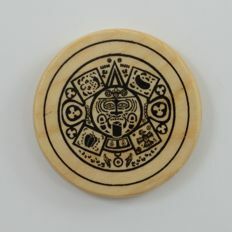 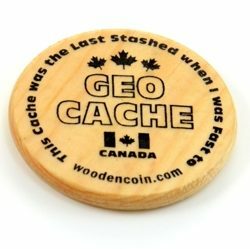 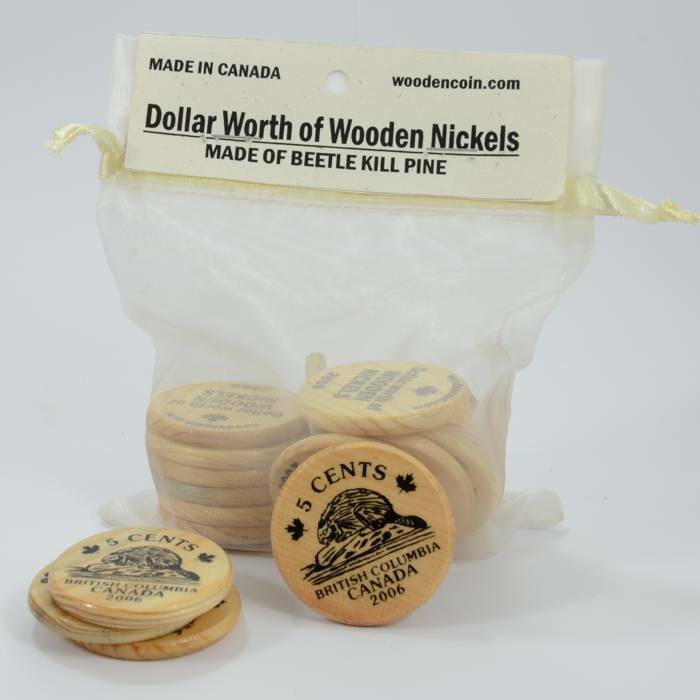 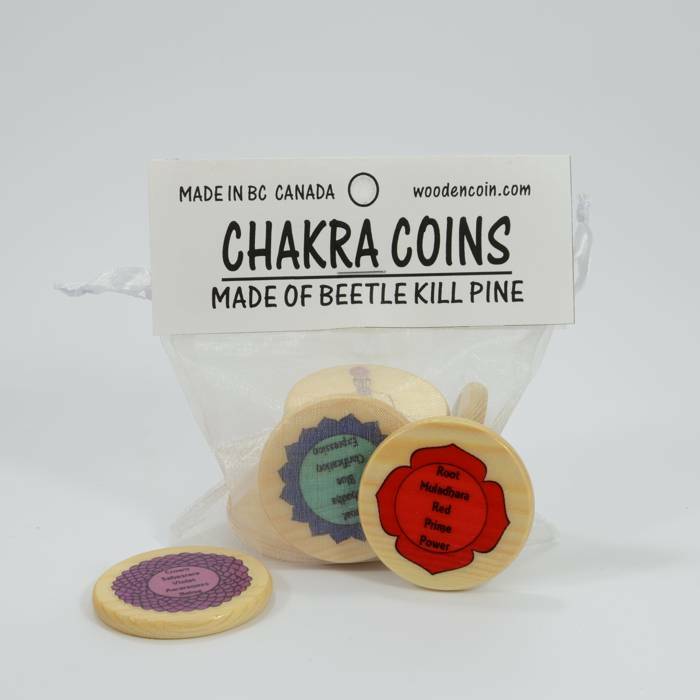 To locate these devoted seekers of Wooden Coins, which devotees term “woods” you can perform web searches for “Wooden Money Collectors”, “Wood Token Collectors”, “Numismatics”, and as of late, “Geocaching”. 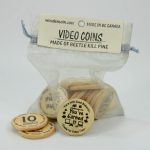 If you supply this network of collectors the details of your order of “woods” they will welcome you to a brotherhood (or now a personhood) of very interested collectors. 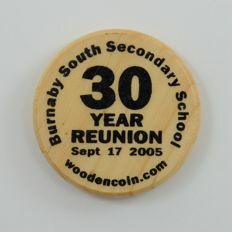 They are very keen to note the Quantity of the order and Date the Wooden Coins were produced. 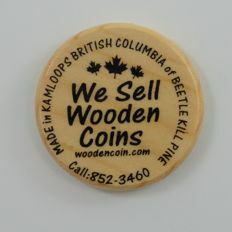 They also wish to register the intended use of the coins. 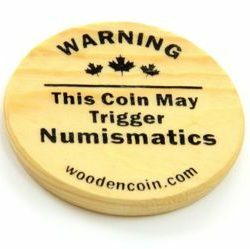 This indeed is the magic triangle or provenance which divines the utmost interest for Wood Coin collectability. 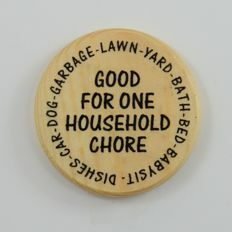 were produced. 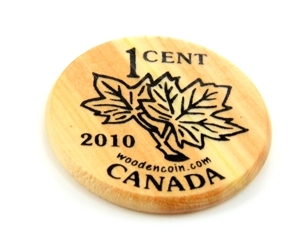 They also wish to register the intended use of the coins. 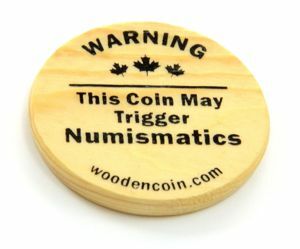 This indeed is the magic triangle or provenance which divines the utmost interest for Wood Coin collectability. 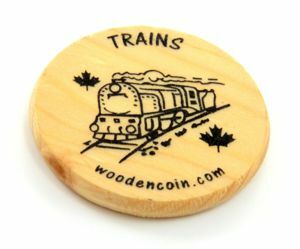 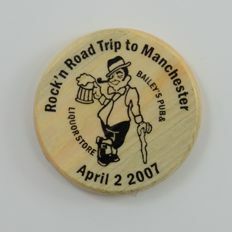 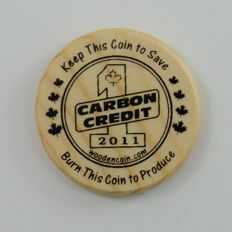 If you have your own coins minted, many of the collectors send money for at least one issue of each Wooden Coin you generate. 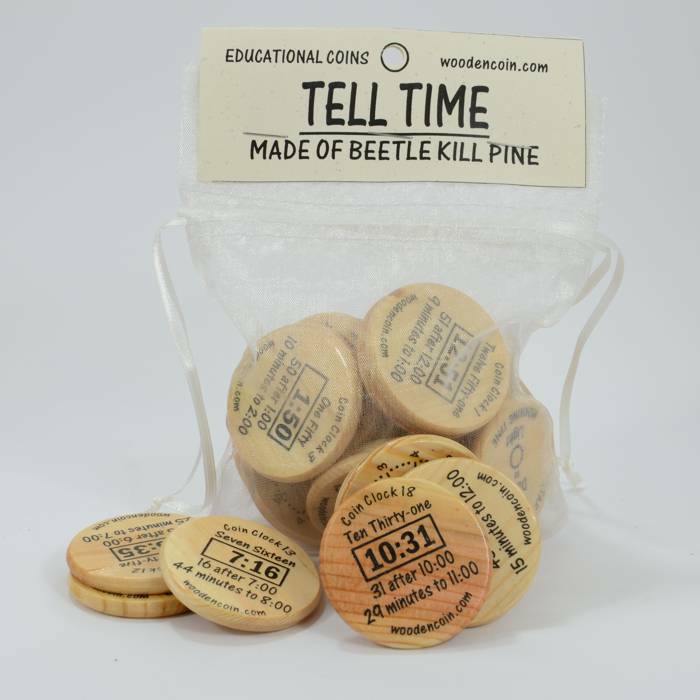 These individual requests could be quite numerous so be prepared if you wish to play. 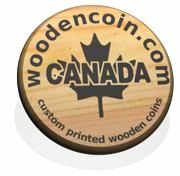 We have requested to display links to these collectors websites and will post these links once received their permission. 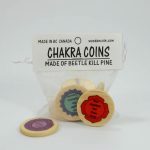 Happy Giving, Receiving and Collecting. 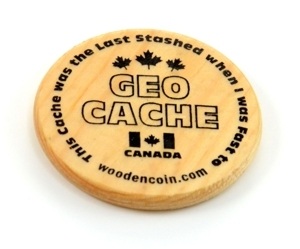 Cache Safely.